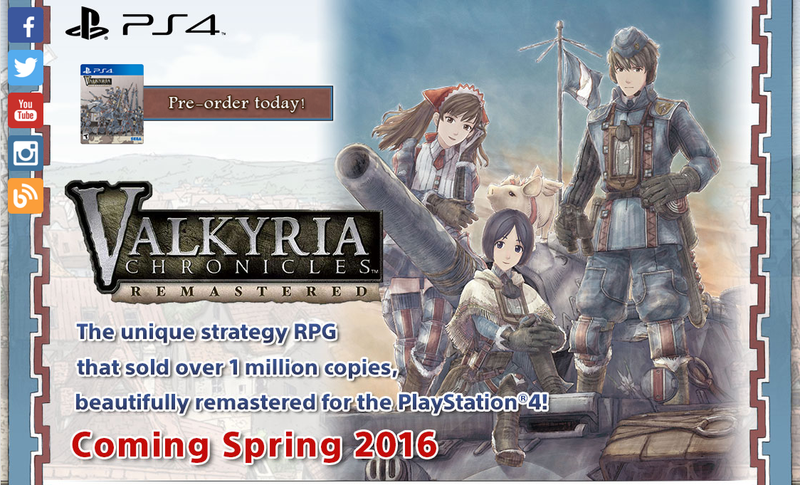 Valkyria Chronicles is coming to the west in 2016. The wording on the page makes it sound like physical copies will be limited. Also, launched copy comes with a Steelcase.